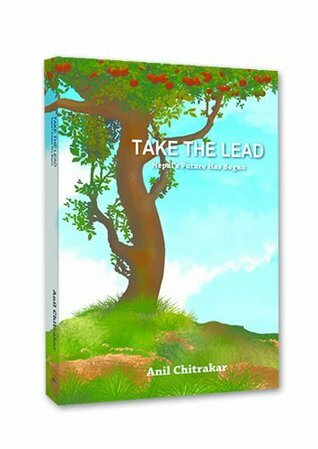 The book urges the readers to 'take the lead' in making 'clear yet difficult choices. 'The author's message is clear. He cautions the readers, “Those who have given up hope need not read any further”. There has always been an air of skepticism regarding Nepal's progress, probably in every household. Visionaries are almost always looked with distrust. The author sounds way too optimistic regarding the future of Nepal! But he also suggests is that not the need of the hour?Anil Chitrakar's Take The Lead- Nepal's Future Has Begun is a candid portrayal of the reality of Nepal and it's people. The book convinces the reader that Nepal is not as unfortunate as many might want to believe. Countries in the south-east Asia that progressed only in the past 20-30 years started with literally almost nothing, the only difference is that they managed their resources fairly well. With the changed global scenario in the backdrop, he commends that Nepal should start celebrating 'independence day' because it has received an unprecedented opportunity, which is tremendous access to the world. This is a blow to the people who have always lamented over the fact that Nepal is a helpless landlocked country. “Shrinking of the world" is a golden opportunity for Nepal to make its presence felt in the world. Certainly it is not a question of just accessibility now.It takes more than mere use of one’s perception to understand the true worth of anything, Chitrakar's understanding of Nepal transcends distant beyond a layman's acumen. He gives an insight on what actually gives impetus to growth. Why is that we find so many different examples of individual excellence but collectively we have been a failure? He explains the importance of team work and the intricate layers in operation to bind the entire arrangement together. He suggests that the only way out of poverty is doing business, and Nepal is yet realize this fact as a whole.Strengthening Nepal from within-The title of the book keeps reinforcing itself throughout, a constant reminder to the reader that the only panacea for all evils in Nepal is taking self-initiative. This could be effectively done by making more people shareholders rather than just stakeholders. He keeps pressing the basic fact that it is incentives that matter and if created rightly Nepali people are more than willing to work hard. The author demonstrates clearly that giving everyone a level playing field is the least that needs to be done towards overall development.A lot of focus has been given in identifying strengths of Nepali people. He suggests that the dynamic Sherpa women entrepreneurs of Khumbu need to be featured in all management schools of the world. Well, it is cliché to say that ‘be the change you want to see in the world’, but isn't self-help most effective? He has explained well how Nepalis perceive themselves today is exactly how they will end up finding themselves in the coming years. There is a very strong relation between the choices we make and the consequences that follow.He keeps urging the readers to 'think out of the box' because there is a widespread tendency of playing it safe in Nepal. In this ‘google’ epoch, you will probably find any information on Nepal you are looking for but this book assuredly will give you a smart perspective on it.Dire need to amend general psyche of the Nepalese people-Being positive is the only way to ameliorate Nepal's almost sad plight. There is an acute need to start having faith in fellow Nepali people. Amidst a noisy crowd of pessimists, the author tries to voice out an optimistic message to the people of Nepal. For instance, there is so much apprehension regarding the upcoming CA elections, the author suggests that people need to be positive about it. The entire book is an answer to the question if 'there is a way out of this mess that we have all helped to create”. The reason why Chitrakar leaves a lot of open ended questions is because there are certain integral questions that only oneself should be left to answer. Good book for those who dream of better Nepal.